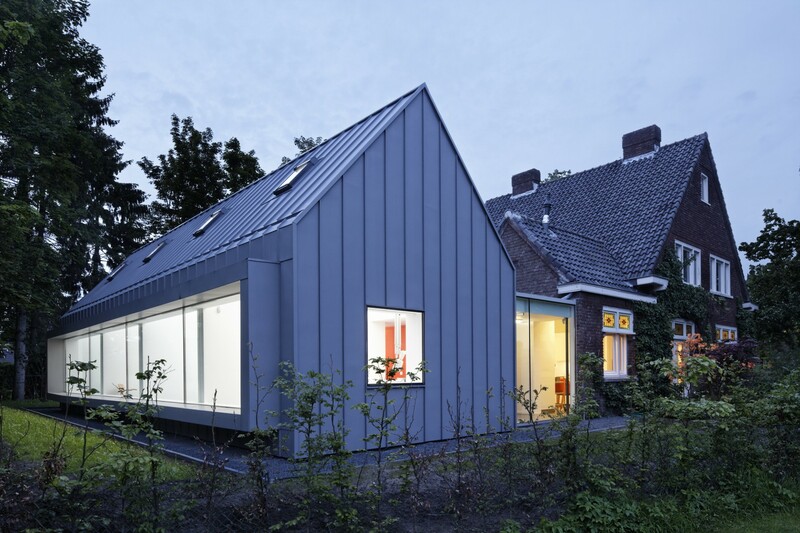 The task of this project was to transform and extend a historical house in the centre of Best, a village in the south of The Netherlands, into a dental practice with four treatment rooms. 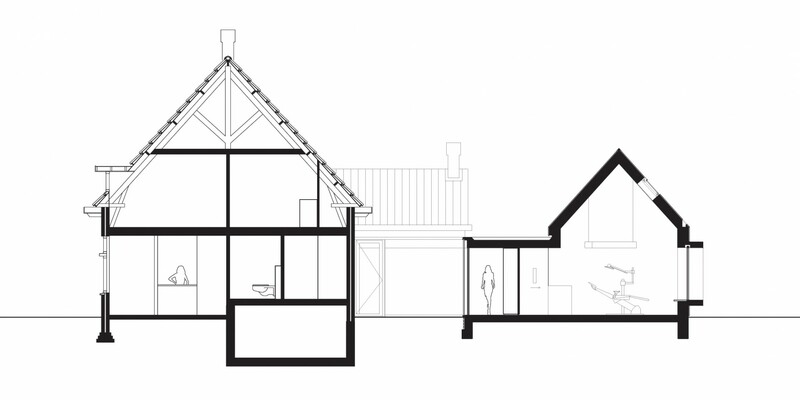 The central question was how the extension responds to the existing architecture and how it profits from the green setting. 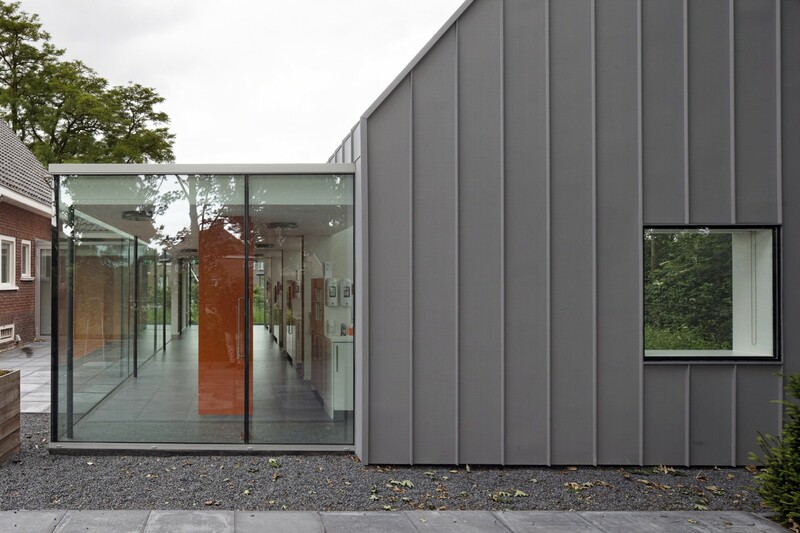 The four new treatment rooms are situated in a new volume that at the same time mimics and contrasts the existing house. 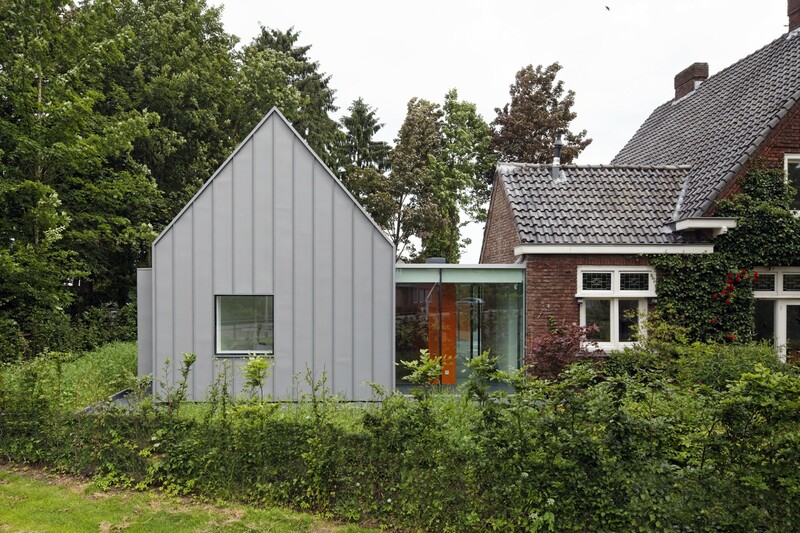 Its archetypical volume is derived from the existing house – it takes over the exact same inclination of the pitched roof – while it is being materialized in a very different material. All secondary functions of the dentist practice are positioned in the existing house without harming its structure and typical 1930’s details. 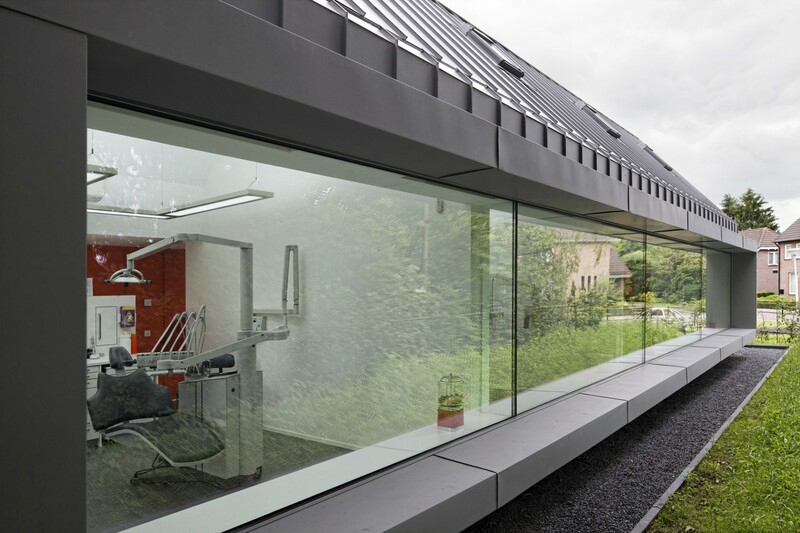 The patient enters and waits in a homely and familiar atmosphere that, together with the experience of the surrounding garden from the extension, makes the necessary visit to the dentist in a (slightly) more comforting experience. 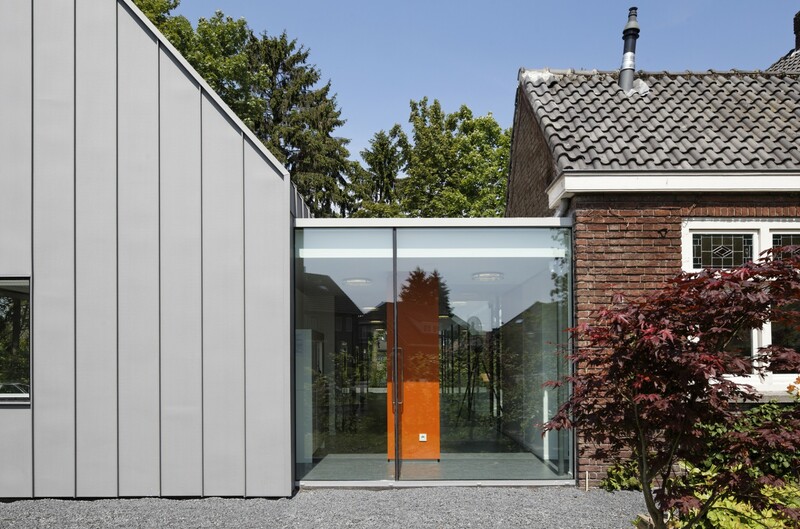 A glass corridor separates and connects the new volume to the historical house. 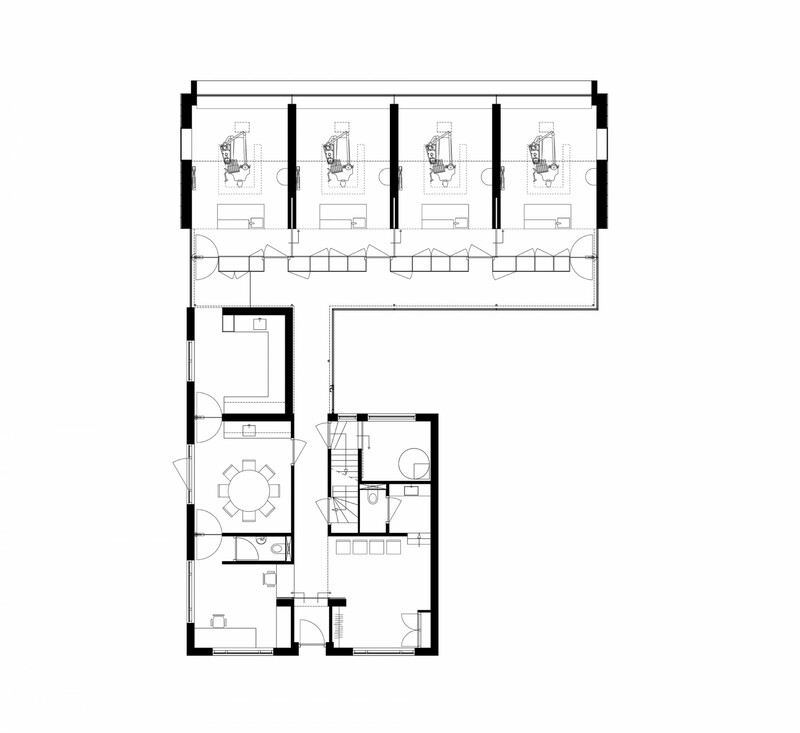 The new volume provides each treatment room with the archetypical space of a miniature house. 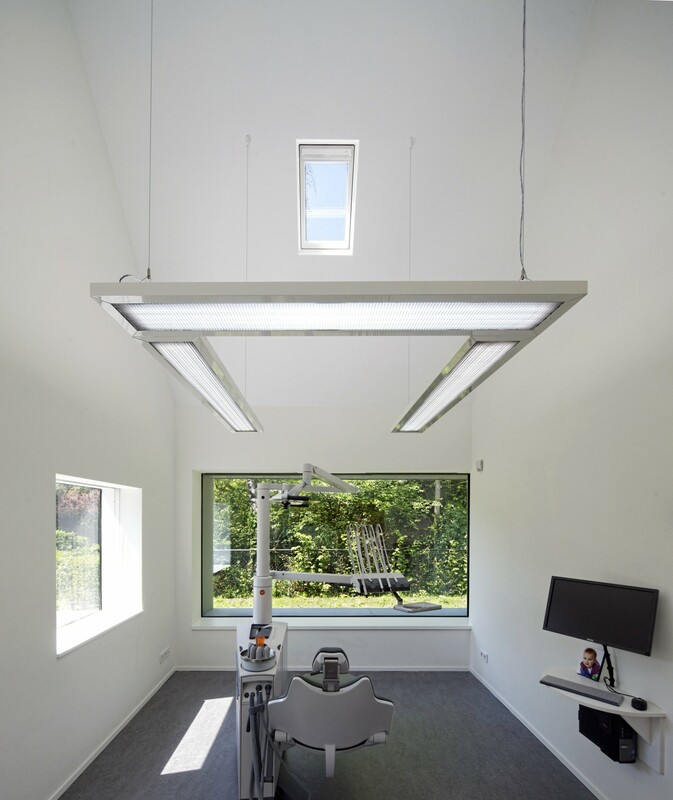 Its high ridge and steep ceiling results in a vertical space that connects to the perspective of a patient in the dentist chair. 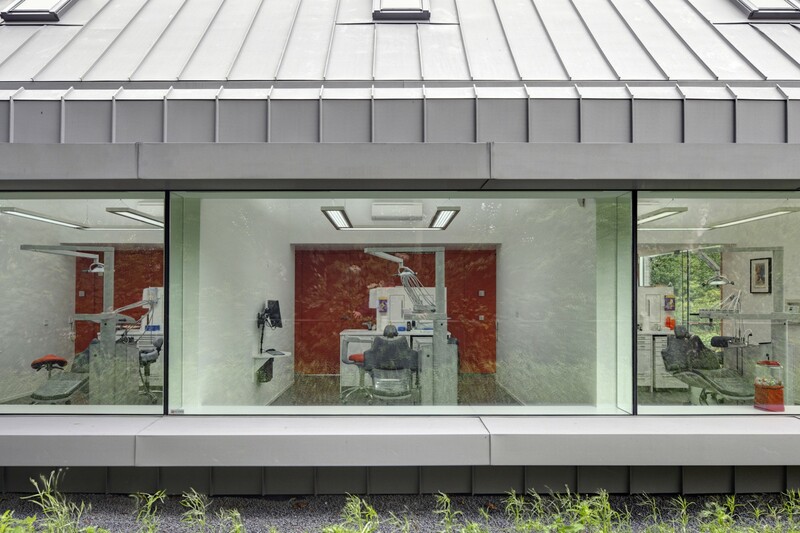 A roof light in each treatment room enables the patients to relate with the outside, even during treatment. 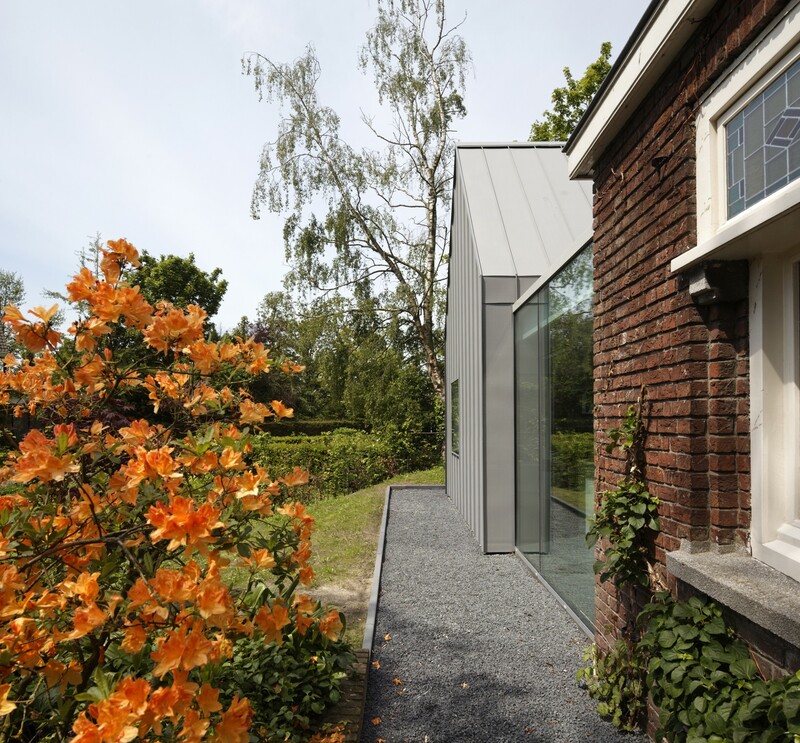 A large ‘flower window’, that also serves as a bench, floods the rooms with daylight and provides both the staff and their patients with a framed view of the surrounding green. 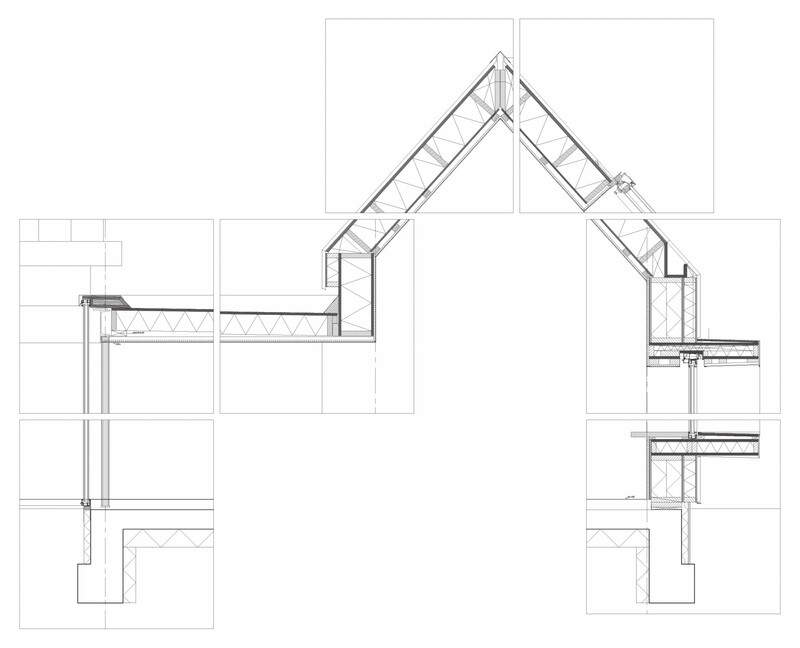 Both the roof and the facades of the extension are clad with zinc. 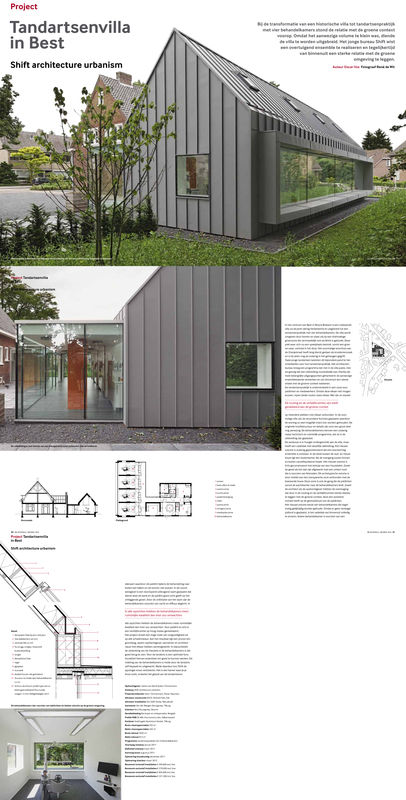 This strengthens the iconic quality of the archetype and renders the new extension into a “contextual alien” that blends into the rural surroundings and at the same time creates a clear new landmark that expresses its new function.